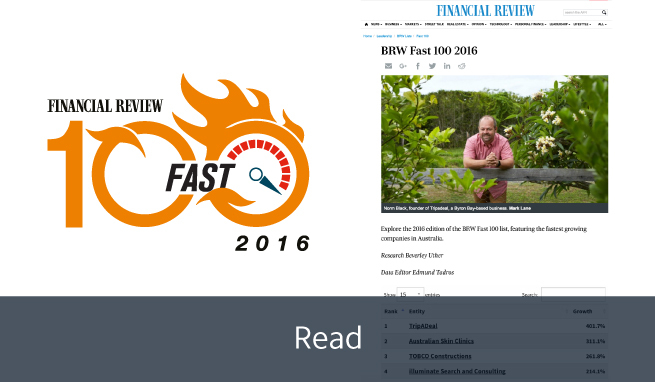 For the third year in a row Elabor8 has been named on the Financial Review Fast 100 list. The list ranks Australia’s fastest growing, public and private, small and medium businesses. This year we moved up 15 places to number 71 – go Elabor8 team! 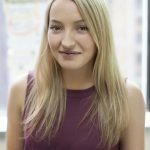 “We’re extremely proud to once again be recognised as one of Australia’s fastest growing companies. Our growth last year was fuelled by the success of our advisory practice in Agile Transformation, the expansion of our team in Sydney, and our Training Academy beginning to gain traction in the market,” says Paul Velonis, Elabor8’s Managing Director. “This year is looking like another strong growth period for us, and in order to continue delivering exceptional outcomes for our clients, we’re investing in our DevOps and Digital Innovation capabilities – which we believe are key to accelerating organisations’ Agile journeys. The Australian Financial Review Fast 100 is for companies that have increased their revenue year on year while continuing to grow and outperform their competitors. The caliber of businesses on this year’s list was as high as ever, with enterprises from across Australia’s major industries proving their resilience and adaptability during today’s challenging times. Big thank you to The Australian Financial Review, we’re looking forward to next year!